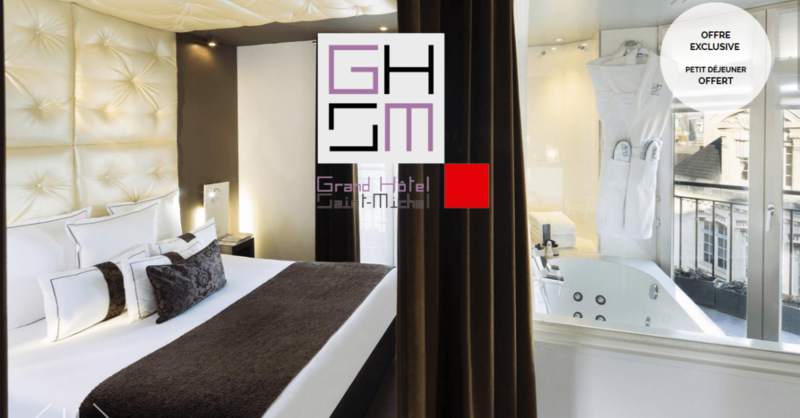 Grand Hotel Saint Michel - Family summer in Paris? You’ll never feel bored! Enjoy waffles, toffee apples, donuts, marshmallows and cotton candy in the heart of Paris. From June to August 2017, the Tuileries Fair, a huge fun fair with over 80 attractions that include a Ferris wheel, its flagship attraction, and 20 rides, welcomes young and old alike to the Tuileries Gardens. The Fête des Tuileries celebrates its 30th anniversary this year. Admission is free and only the rides and attractions are subject to charges. The Fête de la Musique is another must-see event this summer. This festive, collective event takes place on Wednesday, June 21, 2017 and it’s your opportunity to enjoy free concerts organised by Paris City Hall and various private sponsors. The longest day of the year will be an unforgettable occasion and a friendly meeting of music, Parisians and visitors. The Fête de la Musique honours the values of sharing and togetherness with its "Living together through music" theme for 2017. If you plan to visit Paris between 20th July and 4th September 2017, the Grand Hotel Saint-Michel suggests that you take your beach towel and sunscreen and head for Paris-Plages. The summer fixture is more famous and festive than ever and, although it has lost its 5,000 tons of sand this year, the programme includes activities for the whole family. Highlights include; beach sports, family activities, games, children’s play areas and activities, relaxation workshops and concerts. Our list of suggested events for holidaying families isn’t quite complete, so we’ll continue with the 14th of July Festival. Go along for the superb aerial display; it’s one of the most spectacular highlights of the event – and there are fireworks! Balls are organised all over the capital, including the famous Firefighter’s Ball and they are testament to the continuing success of a festival that is anchored in festive French heritage. Cycling, pony trekking, a picnic in one of the capital’s many gardens or simply taking a moment to enjoy a refreshing ice cream. Keep your little tribe occupied on the warmest days of summer at the Jardin du Luxembourg, Paris Zoological Park with its huge green spaces or at the Jardin d'Acclimatation in the Bois de Boulogne where you’ll find lots of kid’s activities including dromedary rides every weekend until September. So many ideas for family outings! The Jardin d'Acclimatation also organizes Jardin-Plage; enjoy a beach atmosphere in a rural setting with lots of striped deck chairs, changing rooms, water games and a paddling pool! The Jardin des Plantes invites you to meet the great apes via its scenography and interactive devices. The zookeepers are waiting to meet you each day at 11:30, 14:45 and 16:15 right through the simmer. Your children won’t want to miss this exciting event! The capital also has lots of museums that are suitable for children such as the Palais de la Découverte, the Children's Museum of the Museum of Natural History, and the City of Children at the Villette where you’ll find fun, educational activities with a scientific theme for various age groups. Or, your kids can have fun while they learn all about the fantastic story of human evolution at the recently reopened Museum of Man. During your stay in Paris, be sure to set aside an afternoon for a visit to the Grévin Museum. This unusual place is filled with celebrity residents. The latest arrivals for 2017 are Nikos Aliagas, Mick Jagger, Kendji Girac and Lang Lang, the internationally renowned pianist prodigy. The Musée Grévin is also a chance for young football fans to meet Messi and Ronaldo – they are are almost more lifelike than the originals!